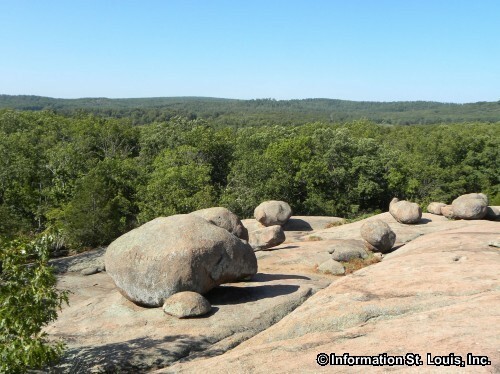 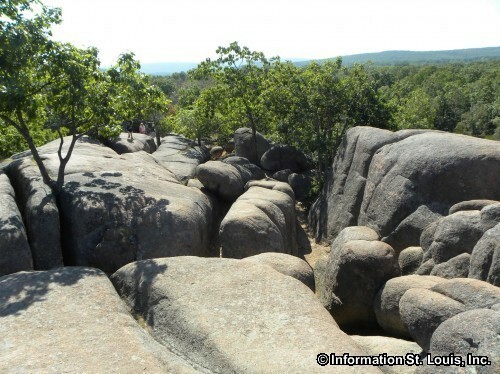 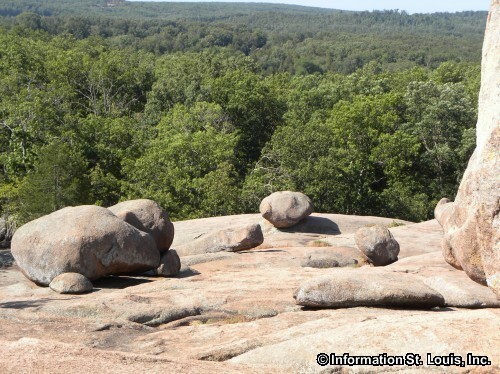 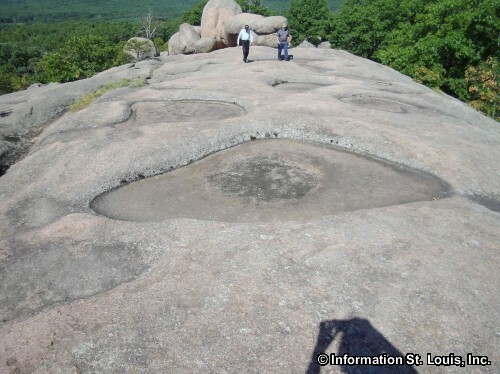 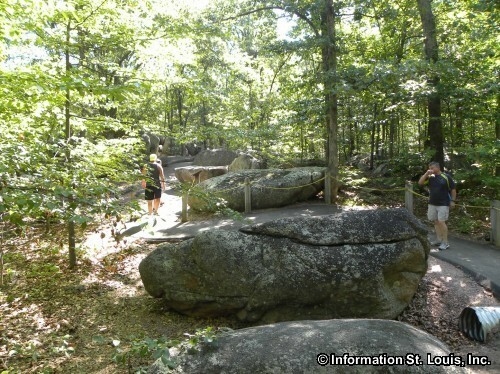 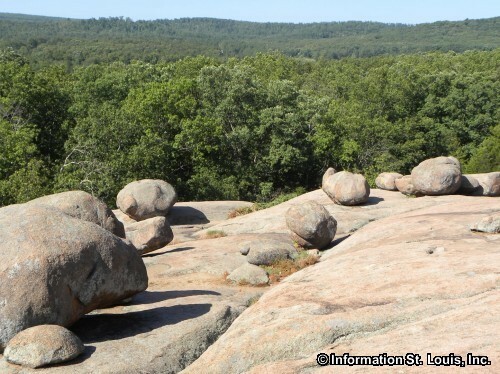 Elephant Rocks State Park is located in the Arcadia Valley in Iron County near Graniteville Missouri. 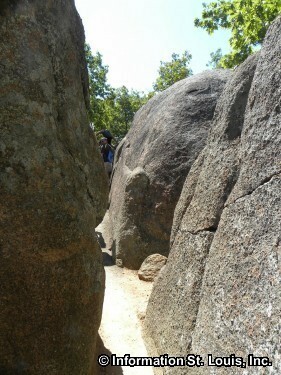 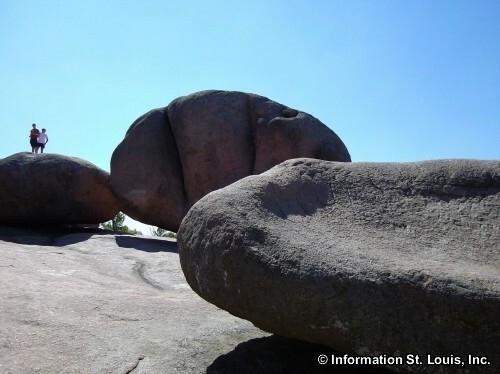 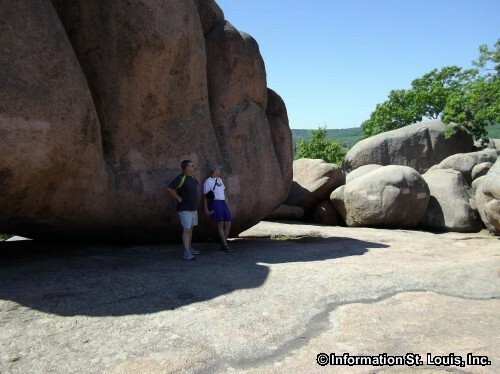 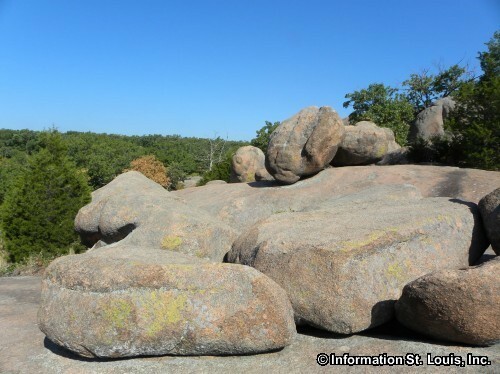 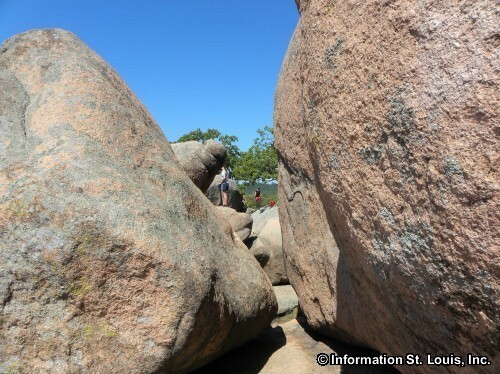 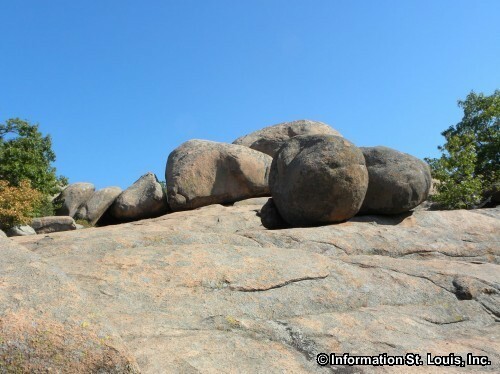 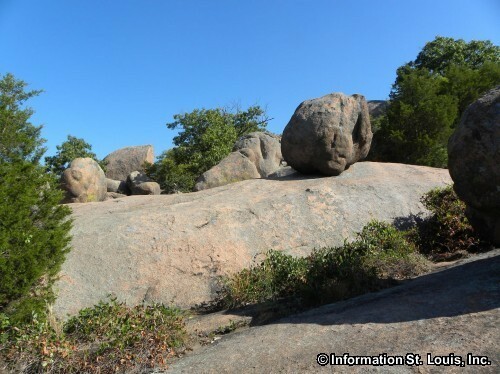 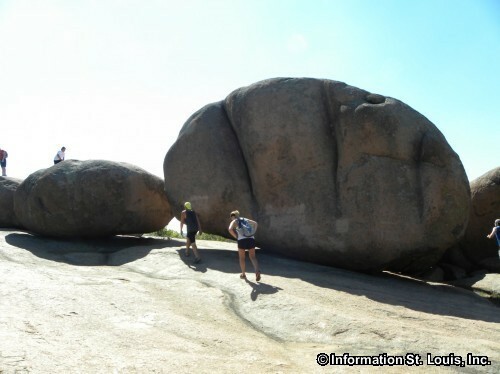 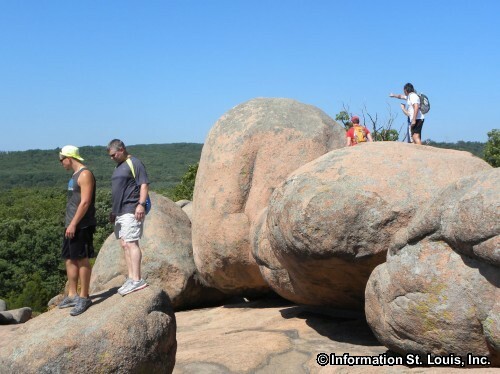 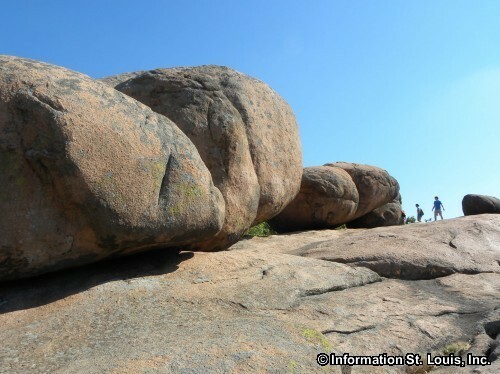 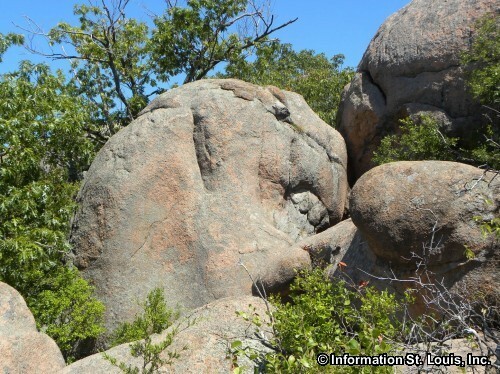 Its name comes from the unusual "Missouri Red" granite "Elephant" boulders that are strewn throughout the park. 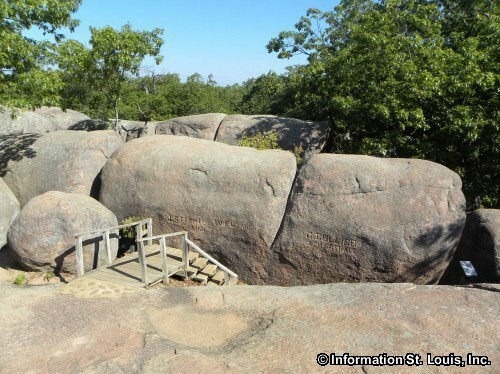 It is the only Missouri State Park that has a "Braille Trail" designed to accommodate people with visual and physical disabilities. 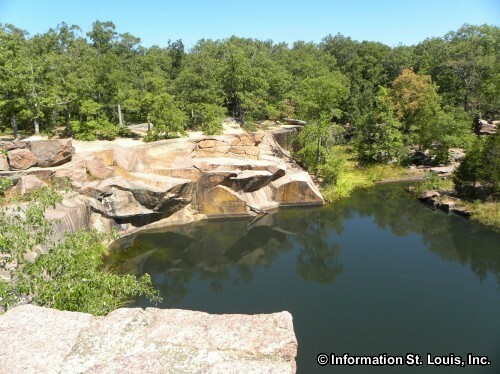 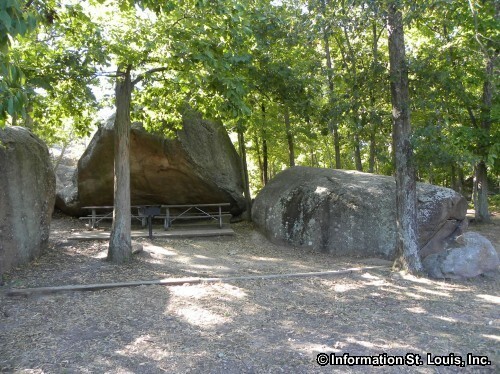 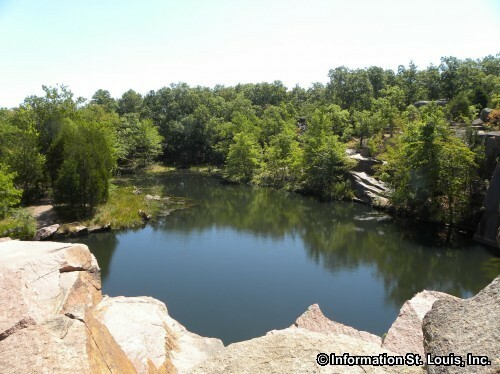 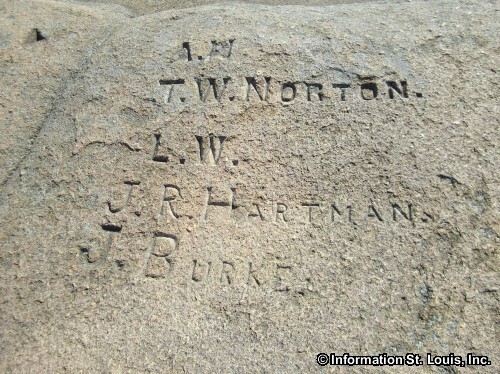 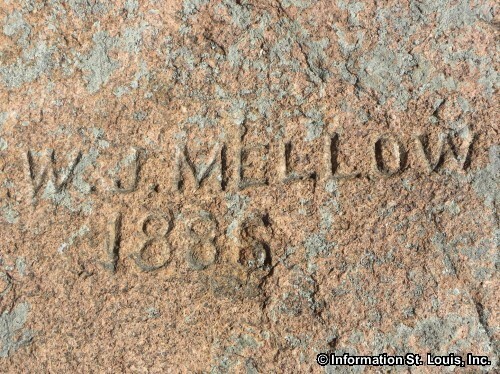 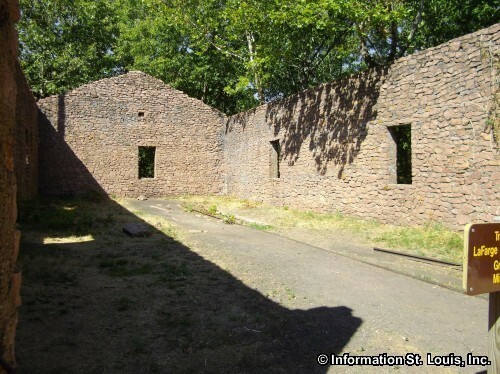 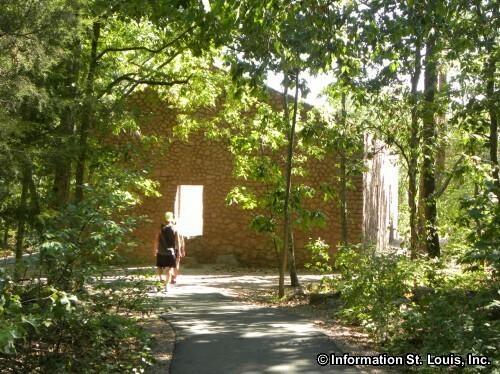 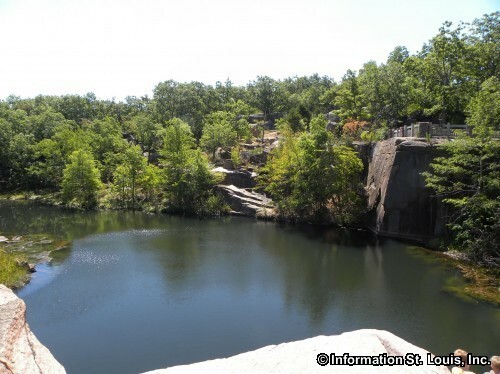 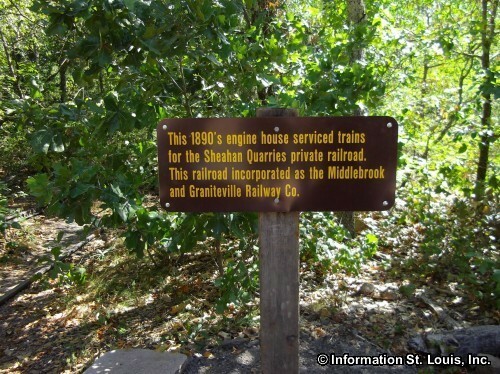 Amenities: 30 picnic sites, interpretive trails, Missouri red granite "elephant" boulders, one-mile paved "Braille Trail", quarry pond, engine house ruins.